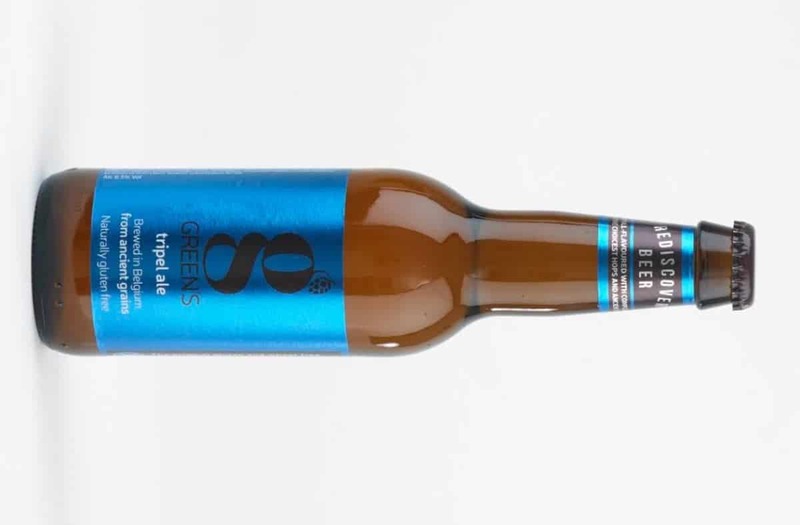 Since launching their Ancient Grains range of beers in the UK last year, Green’s has become quickly renowned for a unique and complex brewing approach which doesn’t use wheat or barley in the brewing process. As a result, the beers are naturally gluten-free, targeting a constantly growing community of experimental beer connoisseurs. In addition to being suitable for those in need of a gluten-free diet – Green’s beers are naturally gentle on the digestive system and boast healthy attributes, with high levels of protein, vitamins, nutrients and probiotic effects. Above all, unlike most gluten-free beers, Green’s Belgian brews deliver on flavour. Launched alongside Dubbel Ale, following the success of a five-strong core range, Tripel Ale is brewed with long forgotten brewing grains of buckwheat, millet, sorghum and brown rice husks. The beer is then re-fermented in the bottle to ensure an effervescence quality on pour, plus complex aromas and rich flavours. Named after its brewing process that sees brewers use up to three times the amount of grains, Green’s Ancient Grains Tripel Ale is a rare version of the beer in hand, brewed without barley. On pour, Green’s Ancient Grains Tripel Ale is golden with a foaming white head and plenty of visible effervescence. Some dank grassy notes are present on the nose, complete with hints of banana, clove, lemon, honey, caramel, and after notes similar to that of salbutamol inhalers – which are curiously quite comforting. On the palate, the grassy notes alongside banana are still prevalent, but the flavour is complex with notes of biscuit malt, pear drops, black pepper and some sour apple that lends a cider quality. Elsewhere, the beer has a promising balance between tart fruit, clove spiciness and a yeasty earthiness. Pepper continues on the finish, which is when the beer’s alcohol potency becomes flagrant on the tongue. At a whopping 8.5 per-cent ABV, the potency does feel somewhat unwelcome, erring on the side of Brewdog’s high ABV nectars of toxic masculinity. Further information on Green’s Ancient Grains can be found at glutenfreebeers.co.uk. Green’s Ancient Grains Dubbel Ale is available from selected independent retailers nation-wide, and online from glutenfreebeers.co.uk, RRP £3.50, 330ml bottle.